iPhone "jailbreaking" has been a hot topic since Apple released its smartphone more than two years ago. According to the Latest report posted by BBC that Thousands of iPhone owners have joined forces with a team of hackers to help them find new ways to jailbreak Apple's phone software & Jailbreakers use Apple crash reports to unlock iPhones. You may be wondering and hearing alot on “What Is Jailbreaking an Iphone? How do you do that?” Jailbreaking is basically modifying the iPhone’s firmware so that you can get access to the internals of its operating system and install a whole slew of third-party applications on your iPhone that are not otherwise available through official channels.Jailbreaking your iPhone in and of itself doesn’t normally make much difference in your operation of it, but it does allow you to install other third-party applications that are not blessed by Apple. A collective of hackers known as the iPhone Dev-Team publishes easy-to-use, cross-platform tools that allow you to install third-party apps on your iPhone that Apple won't admit into its App Store. The latest version of the iPhone's operating system is proving to be extremely hard to jailbreak fully, according to Joshua Hill, a member of the Chronic Dev hacker team. "Apple is really making it tough for us. The iPhone is now better protected than most nuclear missile facilities," he says. Jailbreaking your iOS device also enables you to change your phone’s behavior and even add some nifty extra features. One such feature that Apple prohibited was FaceTime or any demanding data tasks over 3G. How Hackers Develop a Jailbreak application ? Well, Hackers like Mr Hill hunt for programming errors, or bugs, in Apple's software. Bugs may result in a program crashing or shutting down, and they are like gold dust to hackers because sometimes they can be exploited to create a jailbreak. Hackers may have to crash a particular program thousands of times as they work out how to exploit a bug successfully, but this alerts Apple that the bug exists and that hackers may be investigating it. Phone manufacturers don’t want you to do it because of the small number of cases in which it can make the phone unstable or open it up to security breaches. It then makes them look bad because it’s their phone that’s crashing or introducing malware to your network. But Users Hate hate it even more because it can cost them money. They even go so far as to cripple features that the phone makers build in, so they can charge you an extra fee for the same service. One example is Wi-Fi hotspot capability, for which carriers charge up to $30 per month when you can do the same thing on a rooted phone with no extra fees using a free or low, one-time-cost app. Some carriers also don’t want you running apps like Skype to make phone calls instead of using expensive cellular voice minutes. Chronic Dev is ready to turn this little information battle into an all-out, no-holds-barred information WAR. A program called CDevreporter that iPhone users can download to their PC or Mac. The program intercepts crash reports from their phones destined for Apple and sends them to the Chronic Dev team. "In the first couple of days after we released CDevreporter we received about twelve million crash reports," he says. "I can open up a crash report and pretty much tell if it will be useful or not for developing a jailbreak, but we have so many that I am working on an automated system to help me analyse them." Is Jailbreaking Legal ? In July,2010 The United States government announced that jailbreaking and unlocking iPhones, rooting of Android phones and ripping DVDs (for educational purposes) is completely legal as long as they are not violating copyright law. It is also apparently not illegal to jailbreak devices in the UK, although it does invalidate product warranties, according to Simon Halberstam, technology law expert and partner at Kingsley Napley. Apple tries to prevent jailbreaking for security reasons once a phone has been jailbroken users could unwittingly install malware that might not get past Apple's approval process. Mr Hill rejects this argument: "I am trying to make sure that my phone is safe and your phone is safe. Apple cares about money, not your safety." 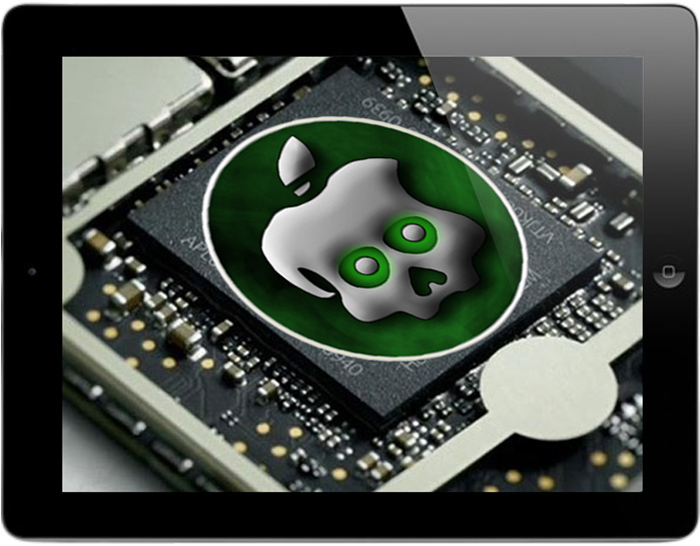 As yet the Chronic Dev team has not announced that it has found any bugs that it can exploit, but a member of the team called pod2g claims to have found a way to create an untethered jailbreak anyway. Even if Apple fixes the bug that makes this jailbreak possible, Mr Hill is confident that the hackers will find more ways.